Cheap if you're making $300k at Amazon. I don't know, though ... it looks like you're lucky to make $100K working at Amazon, and if you're senior you might get into the $150K range. $300K would probably be the top ... 1%? of employees there? It's possible that the race to raise rents has manage to exceed the ability of people to pay, so yeah, Seattle is going to see a course correction. But certainly the drive to suddenly provide rental units was fueled by the perception that the ROI for rental property exceeded that for condos. I'm sure there's a complicated interaction going on here that can, of course, be adequately described the simplistic macro-economic "Supply-Demand" curve. Most senior employees at any tech company make the bulk of their compensation through variable measures like bonuses and stock options/grants. I doubt that there are too many people getting a base of $300K US unless they are in the very upper echelon of the executive team. It seems odd to me that such a committee will apparently have no representation from landlords, even though they play a significant role in the rental market. Edited by Nparker, 11 January 2019 - 08:54 AM. 'rented in the past' will hopefully include some landlords. Theoretically yes, but in practice I suspect they will be excluded. We've heard a lot about the new rental construction, but the magnitude surprised me when I looked up the data.... a 10x increase in starts over the long term average. Crazy. Which is why I fear there will be no landlord representation on this committee (even if they are landlords who are or have been renters). Opposing viewpoints are not welcome with this council. 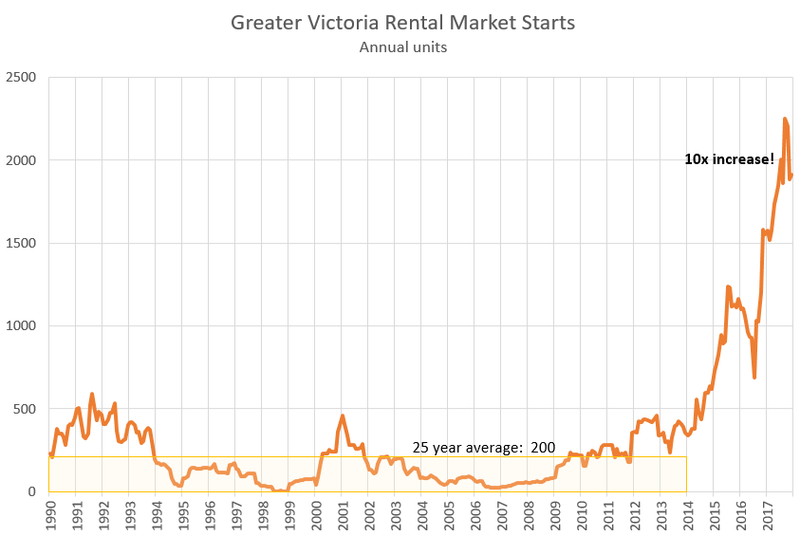 Padmapper is reporting (and the TC is headlining) that the medium price of a 1 bedroom apartment in Victoria has increased 16% year over year in Victoria. Sounds horrible and needs immediate action right? Look at the source. Go to Padmapper and filter out the airbnb units that they feed in to stuff their listings (ie they just take the daily rate and multiple it by 30) and they have a total of 8 one bedroom monthly listings in Victoria. So the TC is rebroadcasting their junk research on a sample size so small that it is irrelevant. I guess this is what the MSM has devolved to. Shame on them and the folks that believe anything they read there anymore. Edited by spanky123, 16 January 2019 - 01:40 PM. ...Padmapper ... have a total of 8 one bedroom listings in Victoria. So the TC is broadcasting their junk research on a sample size so small that it is irrelevant. I guess this is what the MSM has devolved to. Shame on them and the folks that believe anything they read there anymore. It's been clear for some time now that the TC has a bias toward the philosophies of the Helps et al regime. Their pre-civic election coverage was so slanted as to be laughable. ^ It is getting to the point that any research or survey being promoted these days needs scrutiny. The MSM has in general turned editorial control over the special interests and advertisers. Far cheaper to have them write articles then pay reporters to do it. Padmapper data is pretty weak. However rents (what people are actually paying). are up about 7-10% depending on the unit type so the idea that advertised rents are up by 15% is absolutely not out of the realm of possibilities. Edited by LeoVictoria, 16 January 2019 - 02:31 PM. I identify 1885 as the year they sold out. Padmapper stopped being useful after they stopped listing Craigslist entries and became overrun with AirBnB. 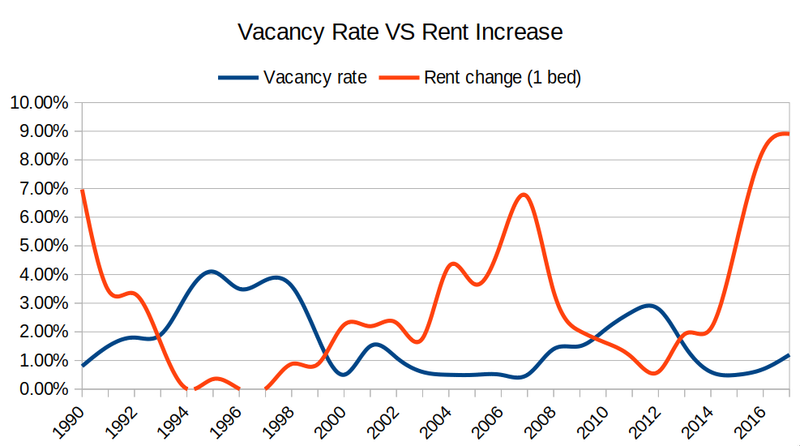 If there is anecdotal evidence to show rental prices are increasing then report it as such. Using junk research as the headline to an article on housing affordability when you know that council is looking for any excuse to put more restrictions and fees in place is irresponsible. I wouldn't at all be surprised if that 15% gets quoted today as council votes on rental policies and rezoning apps. Edited by spanky123, 17 January 2019 - 08:18 AM. Soon government might be the only thing propping up traditional media like the TC, so it’s crucial for the news to align with government interest. Much of what we already consume via traditional media channels is based off of government press releases, and the rest off of corporate press releases. Hardly a day goes by where I don’t receive a call or an email from a press agency trying to have their press release picked up.